Pine Crest remains a leader in college preparatory education because of our exceptional students, world-class faculty, and philanthropic parents, grandparents, alumni, and parents of alumni. Our Advancement Office works closely with School and volunteer leaders to advance the mission of Pine Crest School. Together, we are focused on supporting an extraordinary education for our students. Through volunteerism and philanthropic giving, there are many ways to support Pine Crest as we move into the next chapter in our School's history. The Pine Crest Fund represents the most fundamental elements of our educational program and allowing you, our donors, to direct your gift to an area of interest to you. Your contribution demonstrates your confidence in our mission. We want you to know your gift makes a difference, and we are going to use it as you intended! Pine Crest School students benefit from your unrestricted support directed to curricular and co-curricular programs where it is needed most. Just as our students never stop learning, our faculty unceasingly strive to become better educators. Your support directly impacts the professional growth of our faculty. Pine Crest's fundamental idea is that a premier independent school education should be equally open to the brightest students, regardless of their financial means. Our strength relies not just on the quality of the faculty, the state-of-the-art facilities, and the breadth and depth of our educational offerings, but on the vibrant and inquisitive student body. We are committed to capturing a wider base of student eligibility and socioeconomic diversity as it is important to build and sustain a diverse community. Pine Crest awards financial assistance to approximately 18% of our students whose families demonstrate need and who would otherwise not be able to attend our School. Your support helps to provide financial aid for families who value our mission. The arts foster imagination and creative problem-solving skills and develop critical judgment, open-mindedness, and independent thinking. Student-artists discover new talents and passions at every grade level using a collection of tools and state-of-the-art facilities and learning from experts in the field. 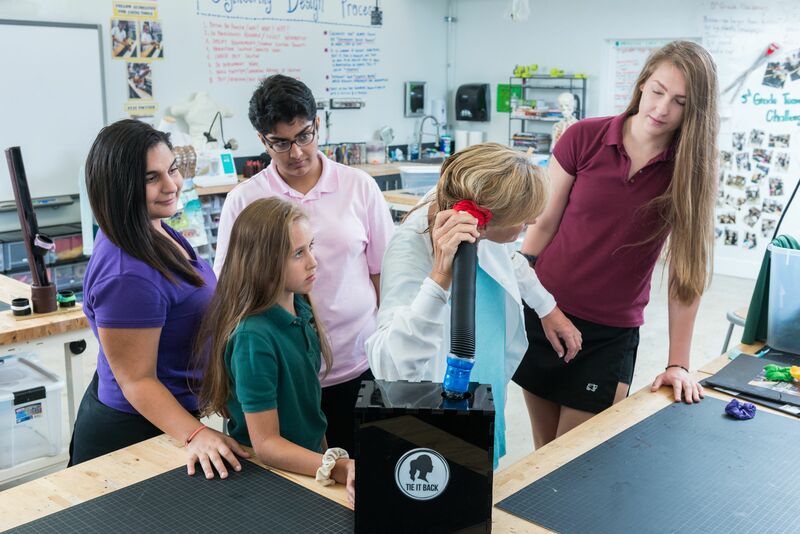 Your support inspires what the world needs: soulful, creative minds nurtured at Pine Crest. Athletics foster gross motor skills, teamwork, perseverance, and passion. Your support helps to maintain our outstanding athletic program, including equipment, supplies, coaches, and training, and provides students with an array of opportunities for leadership, sportsmanship, teamwork, physical challenge, and personal growth. From transformational projects included in Pine Crest School’s strategic and master plans to immediate priority initiatives, there are exciting opportunities to support capital projects and make the extraordinary happen throughout our two campuses. Establishing a named endowment is one of the most meaningful ways to ensure one’s legacy and create a lasting impact for generations of Pine Crest School students. Capital and Endowment Gifts can be made by contacting Susan Peirce, Vice President of Advancement, at susan.peirce@pinecrest.edu or by phone at 954-492-4121. See how your gifts impact our community! There are three ways to make a gift to Pine Crest School. Gifts received via mail and other delivery services are processed within 48 hours of receipt. Your gift may be made via credit card anytime, by using our secure online giving page. Your gift is recorded for tax purposes on the date the card is charged. On behalf of the Advancement Office, thank you for your generous support that advances Pine Crest School’s mission. The Pine Crest Circle of Excellence recognizes total tax-deductible cash gifts by individuals to Pine Crest School during our fiscal year of July 1 to June 30. Those who have included Pine Crest School in their estate plan. Alumni whose giving continues for five or more consecutive years. Increase your contribution at no additional cost to you! Many employers give generously to non-profit educational institutions by matching employees' charitable contributions. If you or your spouse work for a company that matches gifts, you may be able to increase your support of Pine Crest. You will be recognized for the total amount contributed to Pine Crest by you and your employer. The match also counts toward your eligibility for all Leadership Gift Circles recognition. Please contact your human resources department for more information.